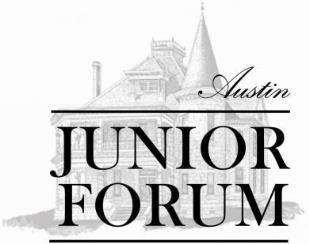 Austin Junior Forum (AJF) is a non-profit volunteer organization supporting women, children, and the elderly in the Austin, Texas, area through community service and fund raising. Learn more about how we use our #powers4good. AJF serves the community in many different ways, from hands-on community service work to raising funds to provide grants to charities and non-profits in our community. We partner with several local organizations to prepare meals, foster education and creativity, provide comfort and hope where needed, and celebrate triumph over adversity. In addition to volunteering with local charities and non-profits, we have two internal community service projects: the Teddy Bear Program, which provides stuffed Teddy Bears and Dalmatians to Austin's emergency services agencies for children in crisis situations; and Caswell House Etiquette Classes, which help children and youth develop the skills they need to put their best foot forward when they step out into the world. Our annual fundraiser, Christmas at the Caswell House, raises funds that are distributed to area charities and non-profits through our Grants Program and helps support the historic Daniel H. Caswell house. Our 36th year of Christmas at the Caswell House, Winter Wonderland, was held November 1st through 8th and December 2nd , 2018. Visit our Christmas at Caswell site for more information. 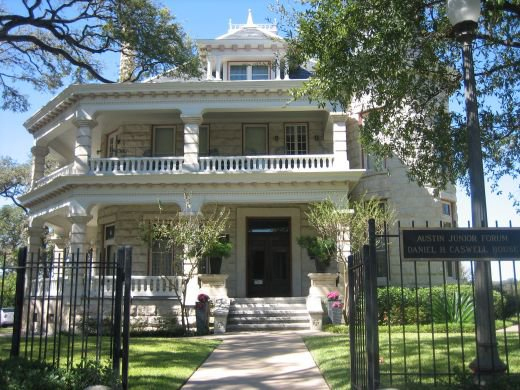 Built in 1900 and a Designated Historic Structure, the Daniel H. Caswell House has provided a venue for many events such as wedding and fundraisers over the past 45 years. 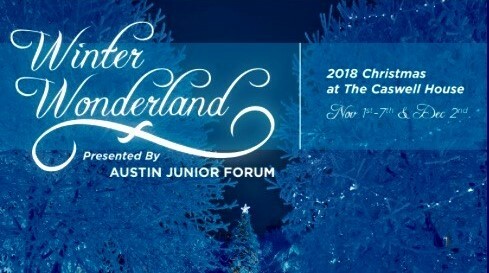 The revenue from these events provides much of the financial support for the historic home and also hosts AJF’s annual event, Christmas at the Caswell House. AJF used last year's record breaking donation to purchase 2000 Teddy Bears and Dalmatians for the emergency services of Austin and Travis County. Help us break a new record of $15,000 for our Teddy Bear Program during this year's Amplify Austin Day. Schedule your donation now.